Capricorn Personality #009 | Capricorn Life - Capricorns Rock! Capricorns tend to keep items of sentimental value for a long time until they are no longer needed. 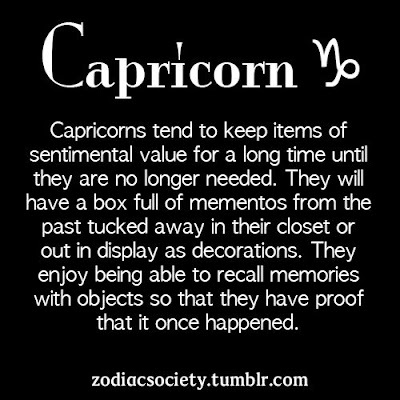 They will have a box full of mementos from the past tucked away in their closet or out in display as decorations. They enjoy being able to recall memories with objects so that they have proof that it once happened.